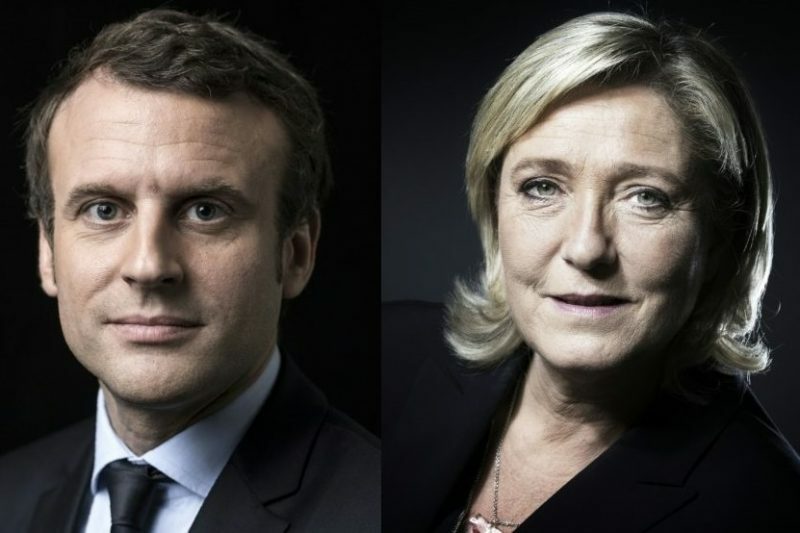 Aired with fours days to go before the second round of elections to decide who will become the next President of the French Republic, the great debate on TF1 and France 2 last night quickly descended into an insult fest. One can only imagine the French public looking at the show from behind a couch through their fingers as Marine Le Pen took the offensive early in what appeared to be an attempt to get under Emmanuel Macron’s skin. She described him as a marketing product; a product of the Socialist party whose mask was now beginning to slip and who whose benign friendly smile would be exposed as the forced rictus that it was. The candidates representing En Marche! (Macron) and the Front National (Le Pen) certainly made a good job of clearly setting out their stalls. They began by speaking about the economy, then social solidarity and protection before moving onto Europe and foreign affairs and finally onto societal questions including education. Marine Le Pen appears to have been referring to a false paper that was first posted in an anonymous ultra-right blogger’s page before being widely circulated in advance of the televised debate. The idea was to get everyone passing on Chinese whispers about an alleged illicit account in the Caribbean that would paint Macron in a poor light; making him out to be “they system’s” candidate, as Le Pen repeatedly claimed he was. The story spun alleged that former banker Macron had a shelf company called La Providence on the Caribbean tax-haven island of Nevis which was linked to a bank implicated in the tax evasion scandal of the Cayman Islands. “If we can make the hashtag #MacronCacheCash (Macron Cache’s Cash) appear in France during the debate this evening, it could dissuade the French voters from voting for Macron”, says the blogger. The allegation brought up by Le Pen during the live debate is now the subject of a judicial complaint by Macron. In any case, the false-news ambush didn’t work. Snap exit polls suggest that show Macron has between 61% and 63% of French voters behind him. The final day of reckoning is on Sunday, May 7th.